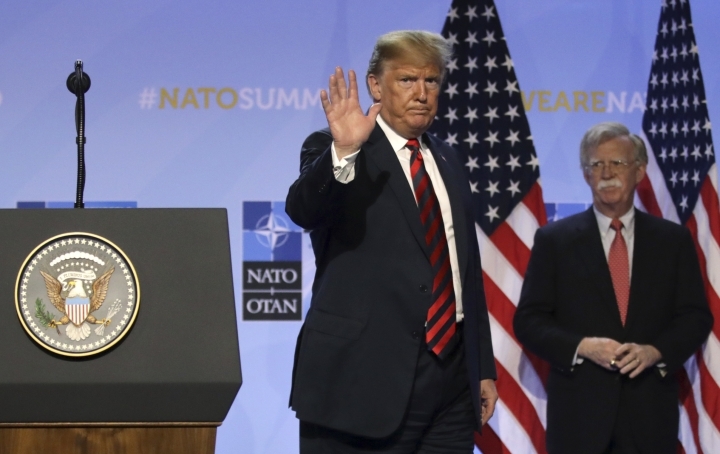 BRUSSELS — NATO leaders pledged Thursday to stand united against foes like Russia despite a tumultuous summit that saw U.S. President Donald Trump rip into his allies for failing to boost defense spending, casting a dark cloud over the world's biggest security alliance. 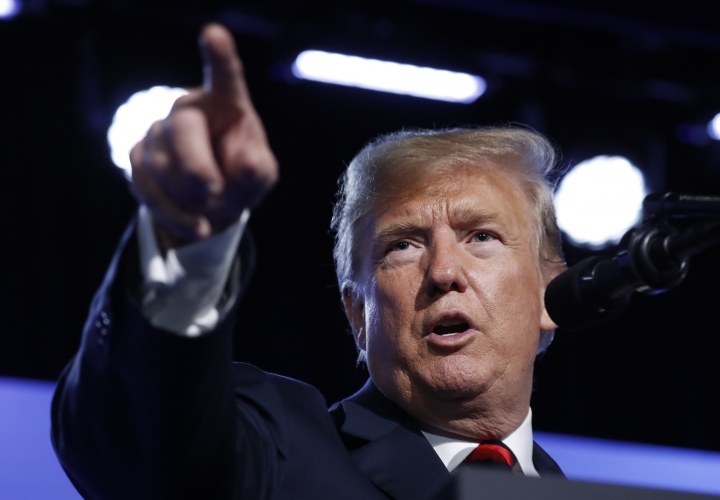 A year after fueling doubts about whether Washington would defend allies who refuse to pay their fair share, Trump launched into the two-day summit in Brussels by berating Germany, among others. 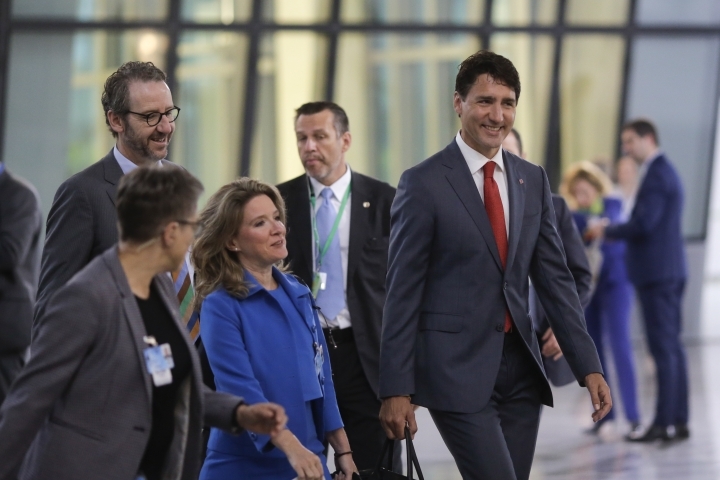 Still, by the time it was over he was ebullient, saying that European allies and Canada had "really stepped up their commitment" — and intimating that his relentless hectoring had forced other allies to spend more than NATO's long-term goal of 2 percent of GDP on defense. 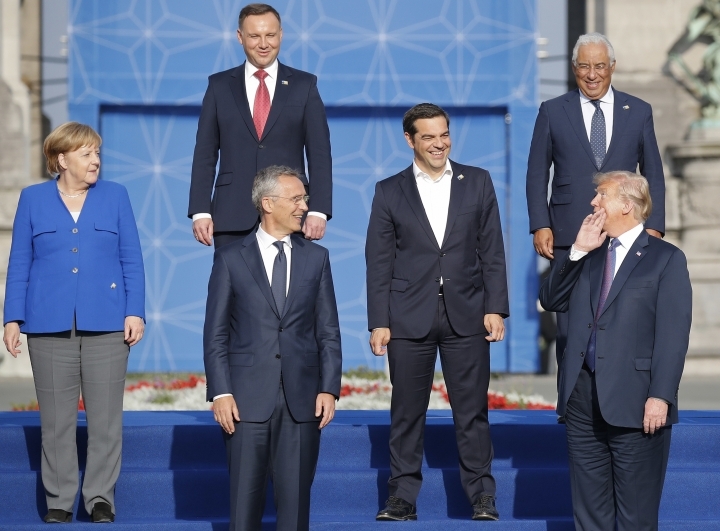 "Now we're very happy and have a very, very powerful, very, very strong NATO — much stronger than it was two days ago," Trump declared after what he described as a "fantastic meeting." He was, however, short on details. That's because, despite the political rhetoric, Trump — like his other 28 allies — signed a summit communique that had been agreed to by their ambassadors last weekend, five days before the summit began. Not a word was changed, officials confirmed. 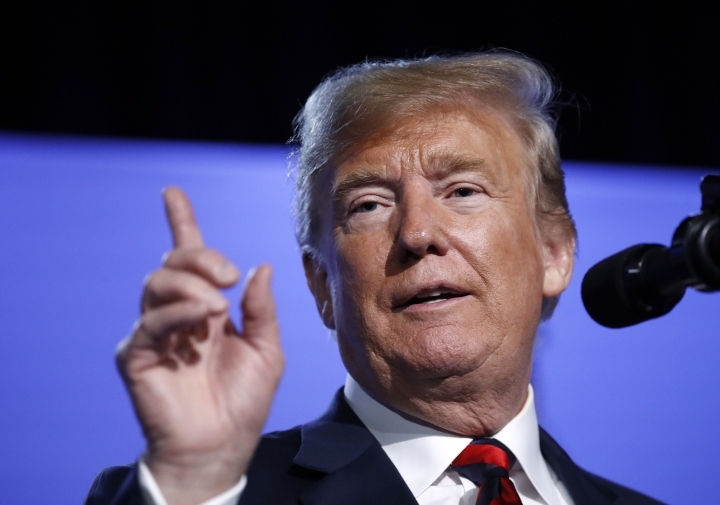 The 23-page text did contain a reference to an old spending pledge the leaders made in 2014 after Russia annexed Ukraine's Crimean Peninsula, convincing NATO of the importance of halting spending cuts. The more than 20 allies not spending 2 percent of GDP on their national military budgets pledged at the time to start investing more as their economies grew, and to move toward that goal by 2024. 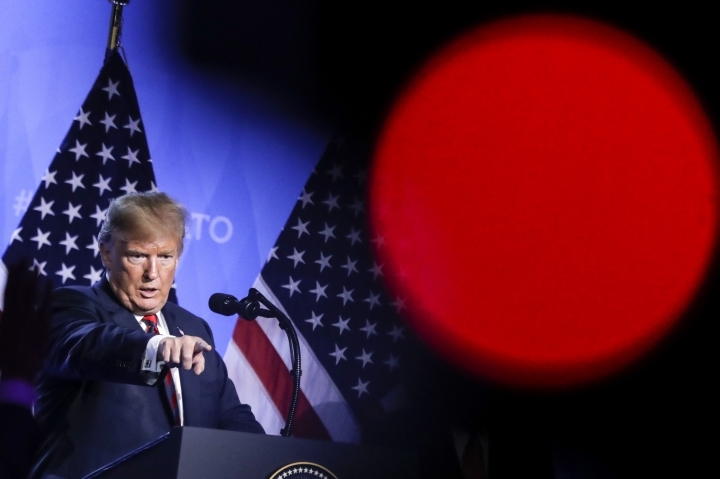 Quizzed about whether Trump had demanded that his allies boost their budgets beyond 2 percent, Secretary-General Jens Stoltenberg — who as NATO chairman has the unenviable job of speaking for all 29 allies — said: "We have made many decisions. You can read them in the declaration." 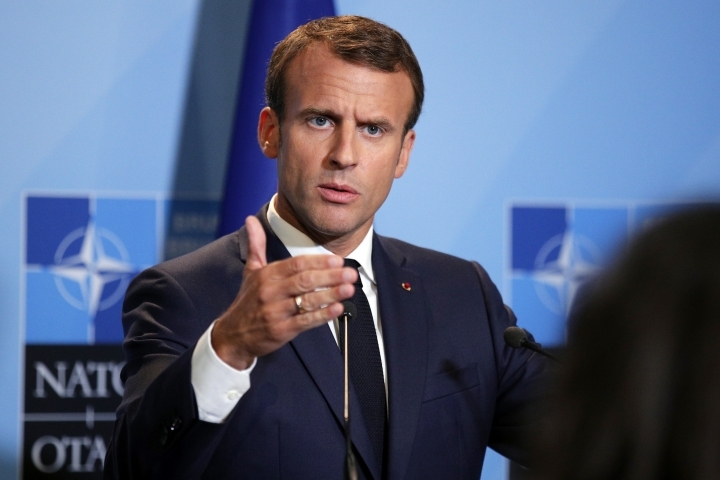 French President Emmanuel Macron was more straightforward. The declaration signed by the 29 NATO leaders, he said, "confirms the goal of 2 percent by 2024. That's all." Among the most tangible decisions the allies did make was an invitation for Macedonia to join once its name dispute with Greece is resolved and a referendum held confirming its new name of North Macedonia. The leaders also signed off on a much-expanded military training mission in Iraq, and vowed to keep funding the Afghan military — to the tune of around $1 billion a year — until 2024. More modest announcements were made, most aimed at an increasingly belligerent Russia. Many have been in preparation for at least six months, having been endorsed by ambassadors, foreign and defense ministers to make it easier for the leaders to put pen to paper. Two new military commands will be created — one in Norfolk, Virginia, the other in Ulm, Germany — to better move troops and equipment across the Atlantic and around Europe in times of crisis. The leaders also backed a plan to deploy 30 battalions, 30 air squadrons and 30 battleships within 30 days as reinforcements, but it is unlikely to be close to operational before 2020. Indeed, very little happened in Brussels that had not been planned well in advance; apart from Trump sparking an unscheduled discussion about defense spending. The U.S. leader raised the issue during talks with NATO partners Georgia and Ukraine, and Stoltenberg invited those partners to leave so debate could continue freely. "I felt, we all felt, that we needed more time for a discussion on burden sharing," Stoltenberg explained to reporters afterward — even though the summit statement had been signed the previous day. He claimed that the extraordinary session had sparked "a new sense of urgency and all allies agreed to redouble their efforts." Stoltenberg did note that more than $40 billion had been added to defense budgets since Trump came to office. 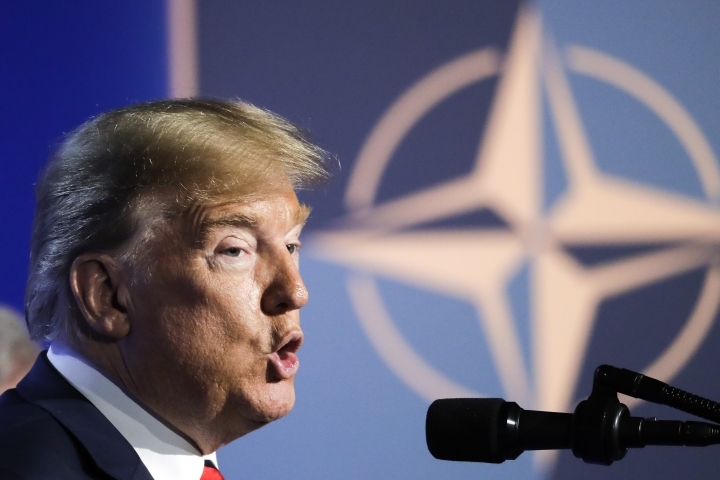 Still, European economies have been growing recently, making the 2 percent of GDP target ever harder to achieve, and Trump's spending demand is at least in part aimed at drumming up business for the U.S. defense industry. Questioned repeatedly about Trump's unpredictable demands, Macron injected a note of gravity, underlining that NATO's work is important, that it involves the lives of men and women — U.S. Corporal Joseph Maciel from California was killed in an insider attack in southern Afghanistan last weekend — and must not be taken lightly. 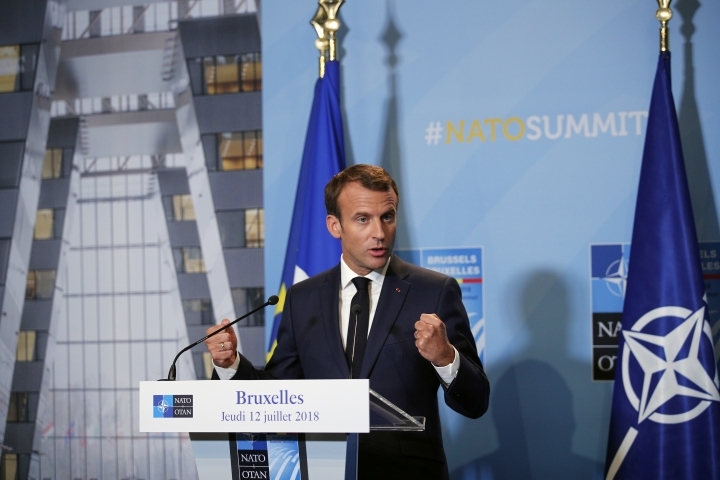 "Without doubt these days, modern law gives more importance to the background noise than the music that was played," Macron said as the summit wound down. "President Trump is the leader of a great country. So he does what we all do. When we draw up a communique, we generally read it, we negotiate, and then we support it. So he knows what he's signed up to," Macron said. The target of much of Trump's ire, German Chancellor Angela Merkel, left Brussels as unruffled and unflappable as ever, telling reporters that "there was a clear commitment to NATO by all." Associated Press writer Raf Casert in Brussels contributed to this report.